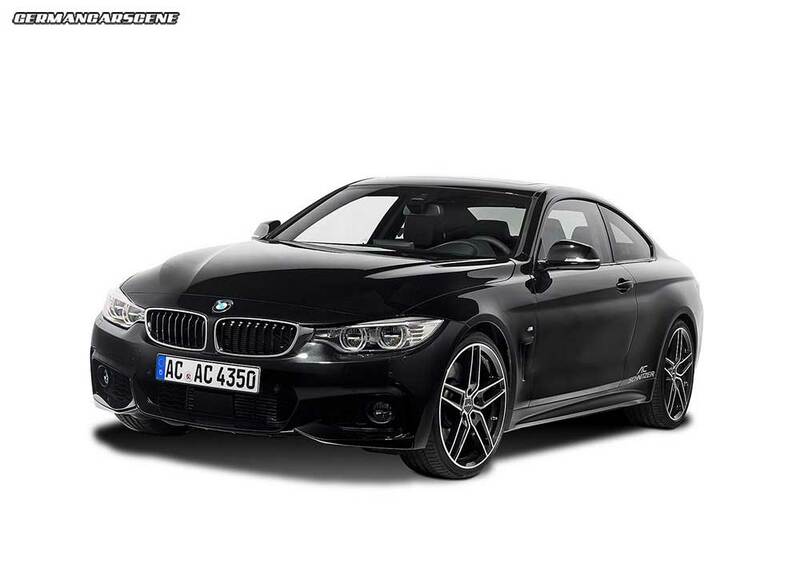 AC Schnitzer has revealed its ACS4 program for the new BMW 4 Series Coupe model. Visually, there’s a wide range of alloys in sizes from 18 to 20-inches, including the Type IV rims in silver, two-tone Type IV BiColor and Type VIII BiColor in black or silver. A sport spring kit lowers the suspension by 25 mm, while the coilover option is more expensive but fully adjustable. On the inside, AC Schnitzer can supply owners with AC a sports steering wheel, velour floor mats, ‘Black Line’ aluminium iDrive cover and handbrake cover, an aluminium pedal set and interesting gearknob complete with digital gear readout. Performance upgrades for the diesel-engined cars see output from the 420d from 137 kW (184 hp) to 163 kW (218 hp), while petrolheads are catered for with the 428i model jumping from 183 kW (245 hp) to 219 kW (294 hp) and the 435i going from 228 kW (306 hp) to 268 kW (360 hp). There’s also a sportier rear muffler with chrome ‘Racing’ tailpipes. Lamborghini has released a promotional video of its Gallardo LP570-4 Squadra Corse, called From the Track to the Road, highlighting the model’s pedigree. Powered by a 5.2-litre V10 which sends 419 kW (570 hp) and 540 Nm of torque to all four wheels via a 6-speed robotized sequential system, the 1340 kg Squadra Corse cracks 100 km/h in 3.4 seconds, 200 km/h in 10.4 seconds and a reaches a 320 km/h (199 mph) top speed. Interested parties will need to have at least $259,100 (€193,546) in their piggy banks – plus the $2,100 gas guzzler tax imposed on new cars that do not meet required fuel economy levels. Following on from the recent renderings, MINI has revealed further details of its next generation model range ahead of the official unveiling in Oxford on November 18 – the birthday of Alec Issigonis. 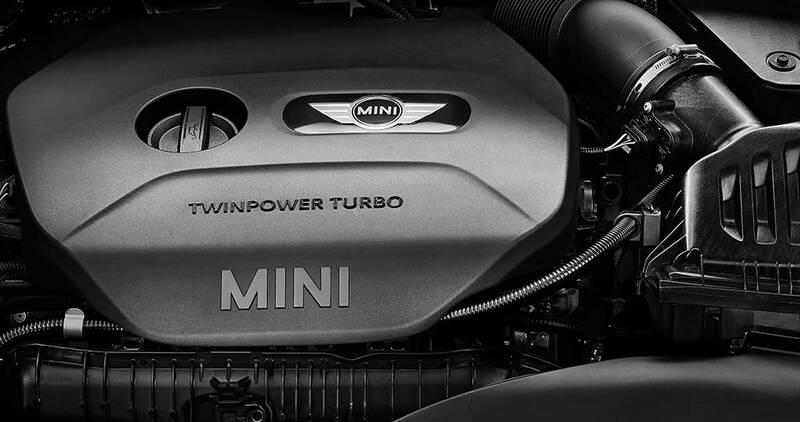 Utilizing the company’s TwinPower turbo technology, engine options will include a 1.5-litre three-cylinder unit developing 100 kW (136 hp) and 220 newton metres of torque from as low as 1 250 rpm, with the overboost function allowing brief increases to 230 Nm. The launch 2.0-litre four-cylinder lump produces 141 kW (192 hp) and 280 Nm (300 Nm with overboost), while diesel fans are offered a 1.5-litre three-cylinder generating 85 kW (116 hp) and 270 Nm, which consumes 7 percent less fuel than its predecessor. All variants feature stop-start systems, with newly developed automatic and manual transmissions. The manual gearbox features a gear sensor which matches the engine speed to allow swifter shifting. Sharing the same UKL1 platform that will see service in BMW’s new front-wheel-drive models, the 2014 MINI will be larger the current one, but thanks to the use of multi-phase steels, weight will be reduced with overall strength increased. Another safety plus is the new active engine cover, which uses photosensors in the bumper to indicate imminent collisions before detonating a trigger that raises the hood to create an instant crumple zone. Operating between 20 and 55 km/h, it dramatically reduces pedestrian injuries. As well as increased space for occupants and luggage, the larger size and wider track promise improved comfort and stability aided by more rigid front strut and multi-link rear suspension components and speed-dependent electromechanical power steering. Electronically adjustable dampers will be offered for the first time, allowing the driver to choose between Comfort or Sport setting at the flick of a switch. 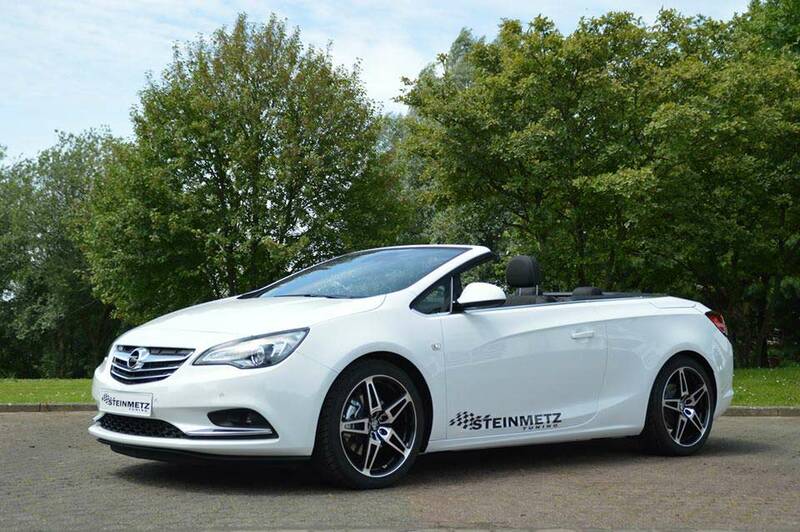 Aachen-based Opel tuning specialist, Steinmetz, has released photos and a video of its Cascada demo car. 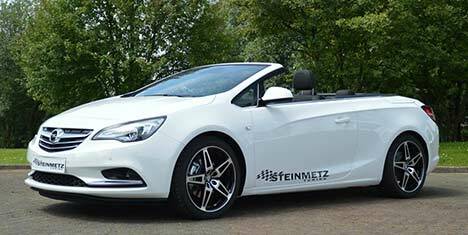 For now, Steinmetz’s only components include a sport suspension kit which lowers the Cascada by 30 mm, while the company’s 8.5 x 19-inch ST10 alloys are available in a package with 245/40 tyres. An aero package will follow shortly. 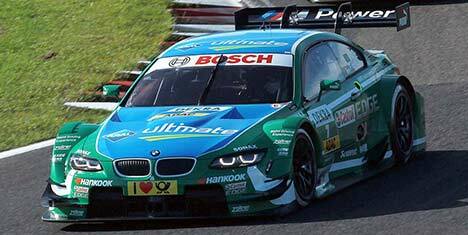 BMW’s Augusto Farfus took the top step of the podium following today’s DTM race in Zandvoort, but it wasn’t enough to stop Mike Rockenfeller taking the drivers’ crown after coming home second. 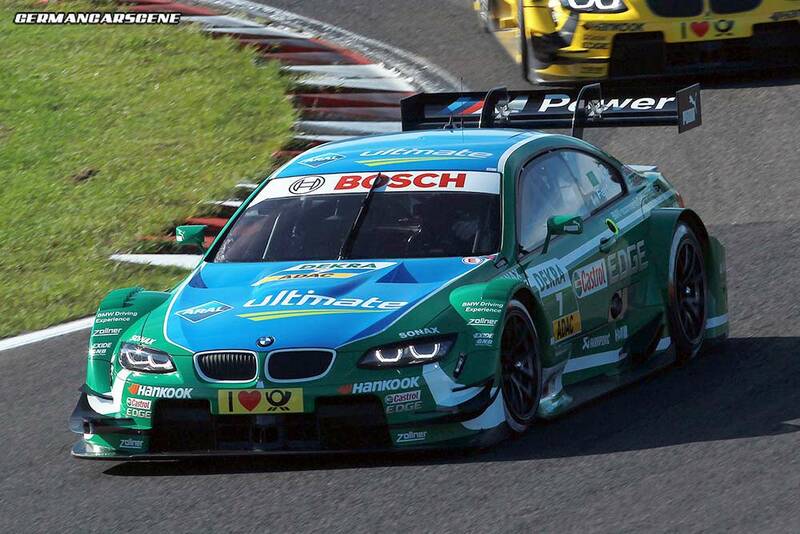 Starting from second on the grid, Farfus instantly edged ahead of Marco Wittmann, with Rockenfeller also passing Wittmann before the end of the first lap. Rockenfeller made good use of his option tyres, completely closing a four second gap between himself and Farfus, until the BMW driver came in to switch from standard to option rubber. Rockenfeller pitted two laps later, but could not match the pace of Farfus, and was even briefly pushed to third by Timo Scheider following the second set of stops. Scheider soon handed the position back to Rockenfeller, but still enjoyed his first podium spot since the Lausitzring in 2011, with Mattias Ekstrom managing an impressive fourth after previously running dead last. Partly aided by the safety car, which came out following a clash between Jamie Green and Dirk Werner, the Swede climbed twelve places in ten laps, passing Hand, Tambay and finally Wittmann on the closing lap. While the champagne corks were popping for Audi and BMW, it was a pretty lousy weekend for Mercedes, with best-placed Gary Paffett’s ninth making it a weekend to forget. Audi now leads the Manufacturers’ Championship with 325 points ahead of BMW (317) and Mercedes-Benz (239). Following on from Porsche’s 6:57 lap of the Nurburgring, tyre company Michelin has released a behind-the-scenes video of the event with interviews from the car’s project manager Frank Walliser, Michelin’s Cornelis Ter Braakm, Walter Rohrl and the driver who recorded that sub-seven second time, Marc Leib. Running on specially manufactured Pilot Sport Cup 2 tyres, the 918 Spyder uses a 453 kW (608 hp) 4.6-litre V8 engine backed up by a hybrid module at the rear along with a electric motor powering the front wheels. When using electric power alone, top speed is 150 km/h (93 mph) with a range of 25 kilometres achievable – depending on driving style but, with the full 661 kW (887 hp) a its disposal, 100 km/h appears in 2.8 seconds and 200 km/h in 7.9s, while top speed is 340 km/h (211 mph).